BES IT Systems specialises in the provision of complete IT solutions and Managed Services across a diverse customer base. 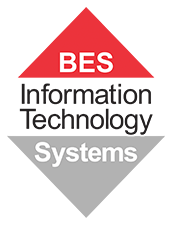 BES works to design best-fit IT solutions for our client's needs and helps our clients meet their business objectives. We are one of Australia's largest reseller of technology to businesses across a wide range of industries. BES works to design best-fit solutions for our clients' needs. If you would like to start a discussion about your IT needs and problems, please contact us online or call us on (07) 3340 5555.